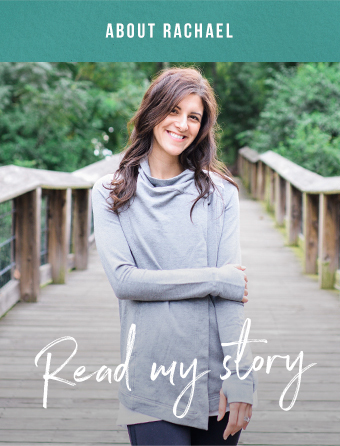 This blog post is part of a paid Megan Media and Health Warrior blogging program. The opinions and ideas expressed here are my own. Thanks for supporting the brands I love that make this blog possible. #HealthWarriorWay. If you had to sum up my nutrition philosophy in a short sentence, it would be that food and eating should be a way to treat your body with kindness. Essentially, it’s eating as self care. That means eating food that makes you feel good, both physically and emotionally. One way you can treat your body kindly with food? Feed it! At least, when you’re feeling hungry ;) One of the most common ways I see clients mistreating their body is by ignoring or suppressing hunger cues, especially between meal times. If your mouth felt sandy and dry, could you imagine denying yourself water? What if you were exercising and needed more oxygen? Would you hold your breath? Sounds crazy, but that’s exactly what’s happening when you suppress hunger. One of the main lessons I teach clients is that food is a biological need, no different than water, air, shelter. When you need water, your mouth feels dry and begs for moisture. When you’re doing something active, without even thinking, your lungs eat up more oxygen. If you’re outside, either sweating or shivering, you’ll do what it takes to find the comfort of indoors. Similarly, when you need energy, your stomach and brain signal hunger. A lesson I’ve learned through my personal intuitive eating journey is that my hunger varies from day to day. Some days I’m much hungrier than others. Which is normal, because my energy needs (aka calorie needs) vary from day to day based on a lot of different factors – sleep, stress, movement, time of the month, etc. So it makes sense that my hunger, the best clue to my hunger needs, would vary as well. That’s why it’s so important to be prepared for when hunger strikes. Because when it hits, you want to be prepared with something tasty and satisfying. One of my favorite snacks are Health Warrior Chia Bars, both for taste and convenience. They’re made with omega-3 and fiber rich chia seeds as a main ingredient and sweetened with just the right amount of unrefined sugar (only 4-5 grams per bar!). Have you ever tried chia seeds? I’m a huge fan. I just love their crunchy texture, especially in these bars, and their nutty flavor. Chia absorbs and swells up in liquid, so despite it’s small size, the bars are a lot more satisfying than you’d think. If you’re feeling hungrier, Heath Warrior bars can easily be made into something more satiating. Pair them with fresh fruit, or something with some fat and/or protein. I love the coffee chia bars dipped into a big scoop of almond butter, acai berry bars with a few slices of creamy brie, banana nut chia bars crumbled over some full fat yogurt or vanilla almond chia bars crumbled with some nuts to make a crunchy trail mix. Seriously, every flavor tastes amazing so just throw a few in your pocket and you’ll solve your snacking problem! 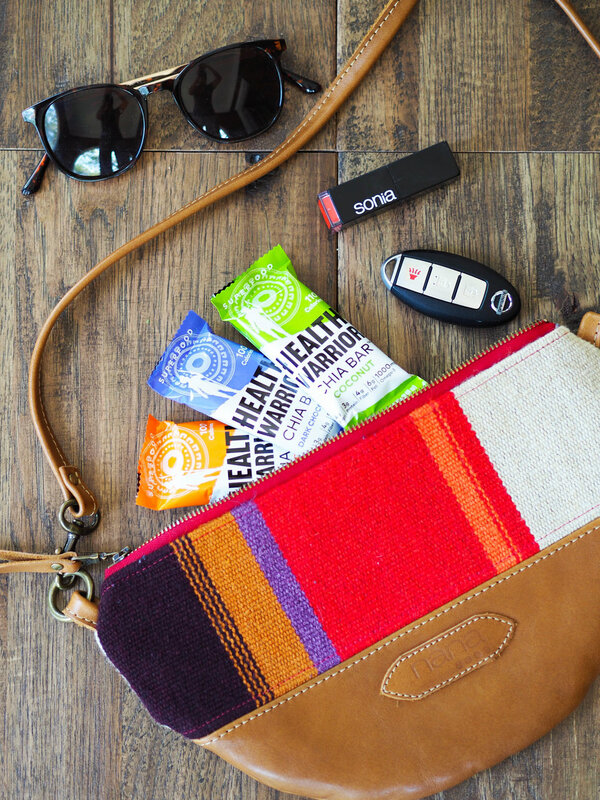 What flavor of Health Warrior chia bars would you like to stash in your bag? Acai berry, apple cinnamon, banana nut, chocolate peanut butter, vanilla almond, dark chocolate cherry, dark chocolate, or mango?